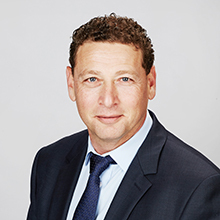 Felix has more than 20 years experience in property related sales and marketing, that includes "off the plan" marketing and being a Sales and Marketing Director of a leading overseas construction company. As the founder of SQM, his extensive knowledge of the dynamic South Sydney commercial market is second to none, having actively worked in the area for over 12 years. Felix is well known, trusted and a highly respected due to the personalised relationships he develops with all his clients. He leads by example, through his professional approach and market knowledge to deliver the very best outcome for SQM clients. Felix enjoys spending his downtime with his family and following his two boys through their Rugby school sport activities. Being keen golfer, Felix is always happy to find time for a round of golf.